Bitcoin miners hit hard by the cryptocurrency’s crash may be throwing in the towel. The bitcoin network’s hash rate, one way of gauging the computing power dedicated to mining the digital currency, dropped about 24% from an all-time high at the end of August through to 24 November, according to Blockchain.com. While the decline may have partially resulted from miners switching to other cryptocurrencies, JPMorgan Chase & Co says some in the industry are losing money after bitcoin’s price tumbled. “This suggests that prices have declined to a point where mining is becoming uneconomical for some,” JPMorgan strategists led by Nikolaos Panigirtzoglou wrote in a 23 November report, in reference to the falling hash rate. Bitcoin miners, who perform the computations necessary to confirm transactions in the cryptocurrency, are rewarded for their efforts with bitcoins. If prices suffer a sustained drop below miners’ break-even costs (determined by their electricity bills, mining-rig efficiency and other factors), they may be forced to shut down to avoid operating at a loss. 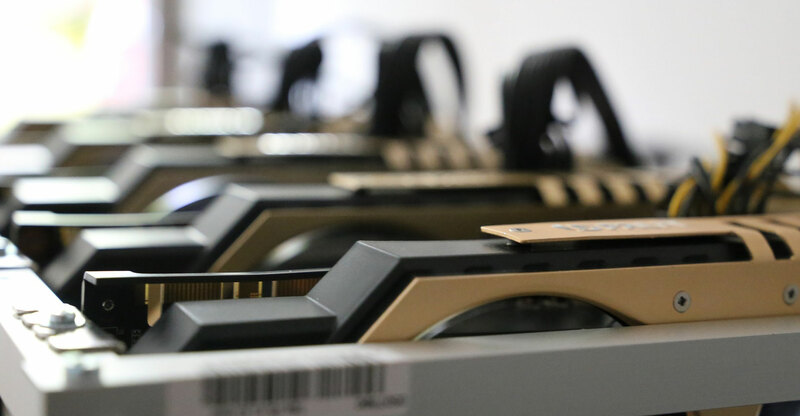 The break-even cost to mine a single bitcoin using Bitmain’s Antminer S9 rig was estimated at US$7 000 in a 16 November report by Fundstrat Global Advisors, though the level is probably lower for some miners with access to cheap electricity and equipment. Bitcoin, which has tumbled about 80% from its December peak, was trading at $3 912 as of 5.35am in New York time on Monday. A big miner shakeout could be bad news for chip makers, including Taiwan Semiconductor Manufacturing and Nvidia, which supply the industry, along with mining-rig designers like Bitmain Technologies that are pursuing initial public offerings.